All business professionals know this simple truth: time is money. In dentistry, time is controlled by the practice’s scheduling system, and, while dentists don’t sell time by the hour, they inevitably use time relative to the annual production. Unfortunately, many practices have become complacent, using schedules that were developed years ago and are outdated despite tweaking. I believe that dentists looking to revamp their schedule should examine the habits of successful business people. 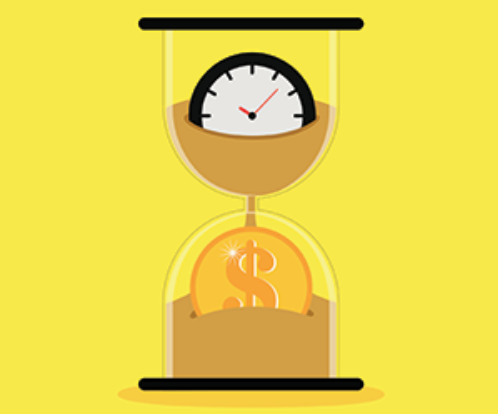 Although practicing dentistry is different from operating a corporate business, some business time management principles can be reoriented to work well within a dental scheduling system. Highly successful people prioritize their days, often tackling their most challenging projects first. From a dental practice scheduling standpoint, the first priority of the day should be the most productive cases. Attempt to complete 65 to 70 percent of the daily production in the morning. By scheduling more complex cases in the morning, you’re able to perform these procedures while you are most fresh. In addition, you and your team will experience less fatigue at the end of the day, leaving plenty of energy for completing minor procedures and preparing for the next day. Successful business people are fully prepared for all daily meetings and activities. Dental practices should be prepared for every patient, ensuring that everything needed for treatment is set up, all financial arrangements have been made and all necessary laboratory reports have been returned. Being unprepared for patients wastes time and energy and increases stress. Dentists with multiple offices should evaluate where they spend their time. Although spending a half a day in one office and a half a day in another is certainly possible, it’s disruptive and not the best use of time. I recommend spending at least a day at a time in each office to maximize productivity, decrease stress and maintain focus. In small group practices, some dentists are finding they are being pulled in all directions to provide coverage. Adjust your scheduling as needed to ensure that focused time is spent on each patient. Your scheduling system is one of the most important aspects of running your dental practice. Examining the time management habits of highly successful business leaders and applying them to your practice schedule can help increase efficiency and focus and decrease stress and chaos. This blog post, republished with permission, originally appeared in the spring 2018 issue of the ADA’s Dental Practice Success. It was written by Dr. Roger P. Levin, the chairman and CEO of Levin Group Inc., a leading dental consulting firm. A nationally recognized speaker, Dr. Levin presents practice management seminars throughout the country.